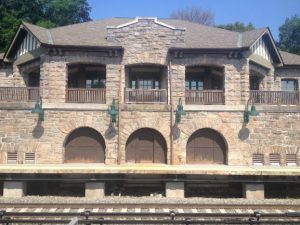 The Hudson Valley Writers Center, housed in the historic Philipse Manor Station in Sleepy Hollow, provides a supportive and constructive environment for a diverse community of readers and writers. We bring language to life through workshops, readings, publications through our Slapering Hol Press, and outreach. We welcome writers and performers in every genre to share their words, music, or comedy with an encouraging audience. Bill Buschel hosts. $5 suggested donation. Join writers across genres for morale, material, and technical support as you submit your work. Carla Carlson and Mary Ann Scott host. RSVP online. Free, for members only. Enjoy a generative evening of writing exercises, sharing work, and connecting with our community. Refreshments served. Natalie Mesnard and Melissa Ragsly host. Free for members, $10 regular. Schedule subject to change. Visit writerscenter.org to register, buy tickets, and get further info or call 914-332-5953.